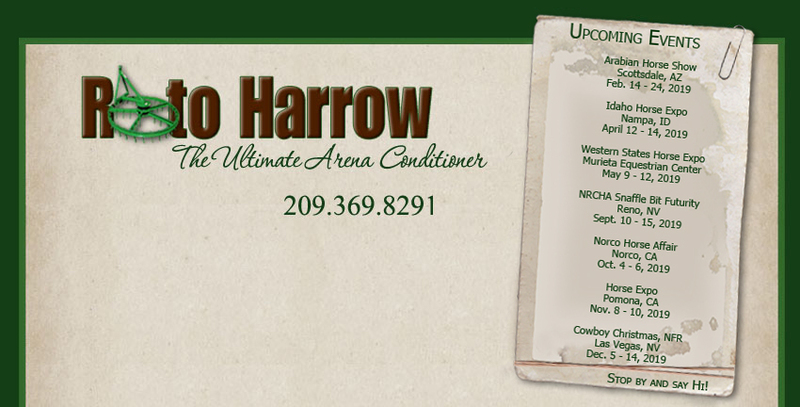 Roto Harrow is the ultimate arena conditioner. An innovative, multi-purpose tool designed primarily as an outstanding harrow with which to condition and level all types of arena footing, but works equally as well in pastures, holding pens, under horse walkers, orchards, driveways....you name it! Roto Harrow is a maintenance-free, easy to use, self-driven rotary harrow that works equally as well for any equine venue. No PTO is required which means a big savings in wear and tear on your tractor. Roto Harrow Arena Conditioners meet the highest standards for reliability and durability, and are guaranteed to withstand the everyday rigors of normal use. Gibbs Manufacturing is a small, family-owned company that has been in the business of manufacturing and distributing Roto Harrow Arena Conditioners and Dragsters exclusively for over 20 years. We sell factory-direct only. There is no dealer mark-up. We ship directly to your property at the lowest possible freight rates available in the nation. Your equipment arrives fully assembled and ready to go to work. Feel free to browse our website and to call or email for answers to any questions. We specialize in prompt and personal service and take pride in our customer support (we are available 24-7 to answer your needs). We realize that there are a lot of arena conditioners out there on the market today. Some offering free freight, credit, etc. But beware of "gift horses"....nothing is free. Gibbs Manufacturing doesn't build any hidden cost in to the prices of our harrows. We don't skimp on expense in order to increase sales. We use the best material money can buy. 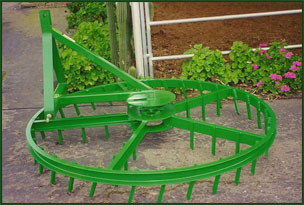 Our harrows are all "American-made." We take pride in every Roto Harrow Arena Conditioner we produce, and know that you will enjoy yours for years to come!